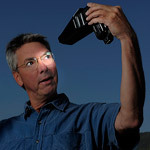 Dave Black: photographer, educator, author, Nikon Ambassador. 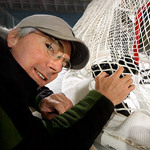 Biography: As a freelance photographer for over 30 years Dave’s work has primarily centered on the sports industry for such publications as Sports Illustrated, Time, Newsweek and the award winning TV show Sports Century on ESPN. The list of event coverage includes the Masters, Kentucky Derby, National Football League, NASCAR and extensive work regarding the United States Olympic Committee, Olympic athletes and coverage of twelve Olympic Games. 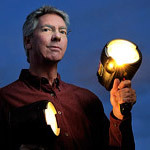 Known for his creative use of Speedlights and in particular with the artistic technique of Lightpainting, Dave’s portfolio continues to broaden into the commercial and advertising industry, and with specialized lighting projects including work for the National Geographic and their book Where Valor Rests, Arlington National Cemetery. Educator: Dave is a Nikon Ambassador, and a SanDisk Extreme Team photographer. His long involvement as a teacher and guest lecturer with numerous photography workshops since 1986 include Rich Clarkson’s Photography at the Summit and Sports Photography Workshops, and American PHOTO magazine’s Mentor series of national and international photo treks. Dave is closely involved with the next generation of photographers by joining the online video instructor’s staff of KelbyOne, and by lecturing at Colleges and Universities each year. His monthly website tutorial articles, Workshop at the Ranch attracts more than 85,000 unique visitors monthly. His recently released instructional book, The Way I See It … is highly acclaimed in both the US and abroad. Editorial Clients: Sports Illustrated, National Geographic Magazine, Time, Newsweek, ESPN, Olympian Magazine, Parade, Wall Street Journal. Book Publishers: National Geographic, Simon and Schuster, Bantam Double Day, Pindar Press, Hyperion, Scribner, Broadway. Television shows: ESPN Sports Center, ABC Sports, CBS Sports, NBC Sports, E Entertainment, and the award winning ESPN Sports Century. Commercial clients: Visa, Chevrolet, McDonalds, Reebok, Hallmark, Coca-Cola, Xerox, Nikon, Johnson and Johnson, HOK, Kodak, AT&T, East West Banks, NFL Properties, Bogen/Manfroto, SanDisk, Pocket Wizard, and the United States Olympic Committee.